I am Sandeep Goli. I am a software engineer from Hyderabad. 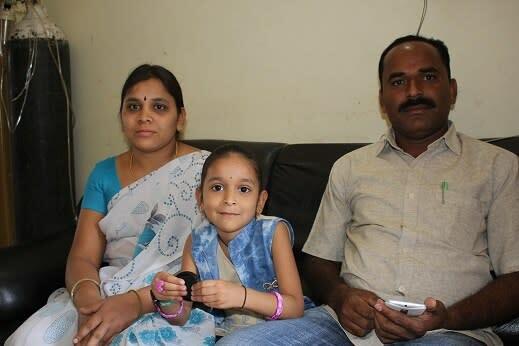 We are fundraising to save 6 year old, Baby Lahari. She has been diagnosed with a serious lung ailment, Pulmonary Alveolar Proteinosis. A Cardiopulmonary Bypass will cure her. 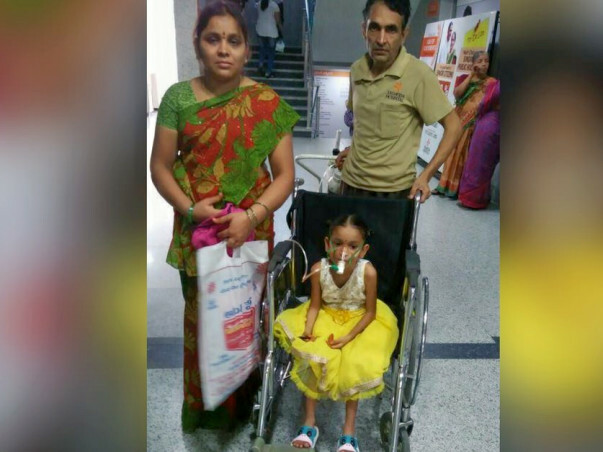 She is currently admitted in Yashodha Hospital, Hyderabad. The case with personally verified. We have visited the hospital, met the parents and even visited their home. The surgery costs 6 lakhs. With support from Telangana State Health Minister and Chief Minister, we have arranged for 2 lakhs from the government. Yet, 4 lakhs is too huge an amount for the family to arrange. We this fund raiser, we wish to raise rest of the funds. Join us to save this girl. Contribute now. Fund promised by Telagana Government. I am Debotri, a fellow at Milaap. 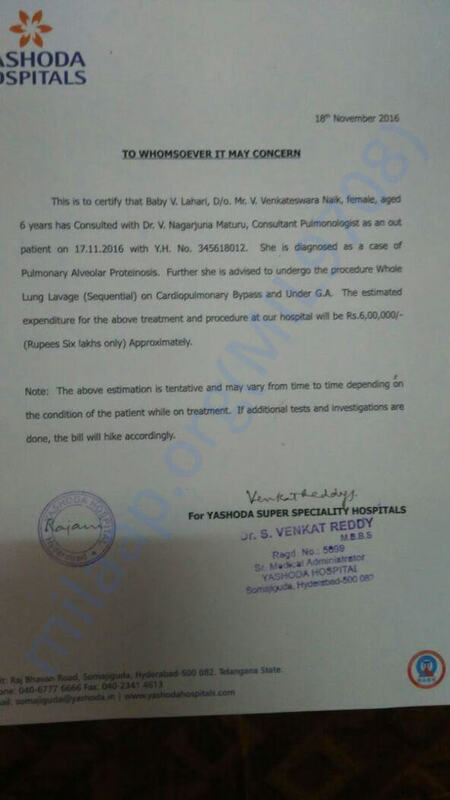 Here is an update on baby Lahari's health. I spoke to Lahari's father, Mr Venkateshwarulu. "She is recovering now. Lahari has improved quite a bit after she was operated in end of January 2017. However, she is little weak at the moment. I want to genuinely thank the donors for coming forward to help her", he said. 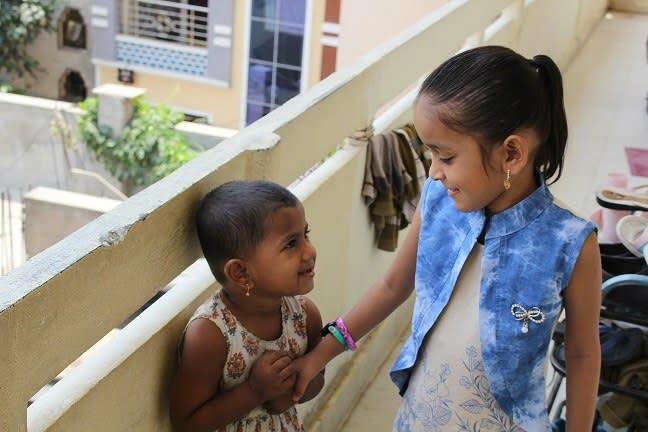 Currently, Lahari is at home in Hyderabad. Since June 2016, she has been suffering a lot. She had a high fever, severe cough and cold almost every week. And suddenly, she became a very dull child. 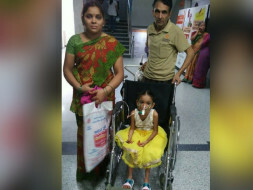 She was taken to a government hospital where she was treated for two months but later she was referred to Yashoda Hospital under Dr Nagarjuna. 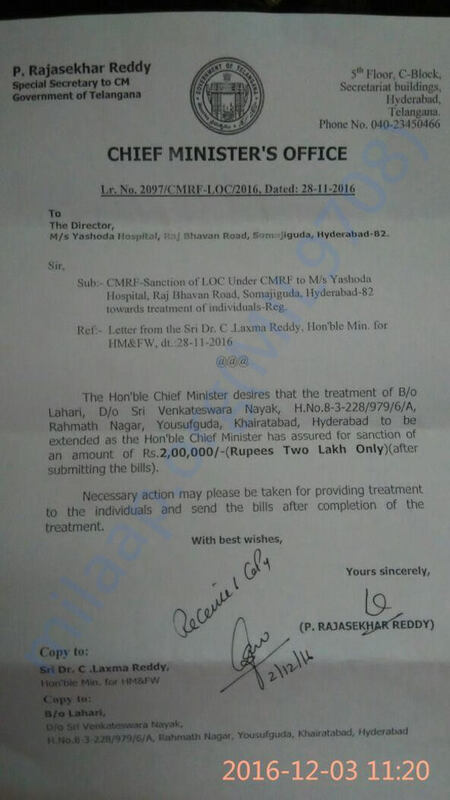 From January 2017, Lahari's condition deteriorated tremendously. "The baby had a complaint of relevant episodes of a cough and cold and difficulty in breathing. She is suffering from Pulmonary Alveolar Proteinosis", said the doctor. The baby was hospitalised for almost a month from mid-January. The severe breathing trouble put her on ventilation for a fortnight, 18th January until 4th February. "We have paid almost 5 lakhs in the hospital. We raised 3 lakhs from our relatives while the rest 2 lakhs from CMRF", said the father. The doctors drained almost 10-11 litres of fluid from her left lung. As she was underweight, they were able to clear around 75% of the lung. "It was indeed a very critical situation. One side, to see my child go through such a vital operation and on the other arranging money for the same was very difficult. It was almost a life and death matter. It was painful for us to see the doctors put pipes through her nose to clean the lung", said her father. 94-99% Oxygen saturation is normal for any being. However, for Lahari, it varies between 90- 95% without the oxygen cylinder. "She needs respiratory support every night ever since she was discharged from the hospital. She is under observation. I feel good to say that her weight has increased to 16kg presently. After 5 to 6 months, she needs to be again hospitalised. 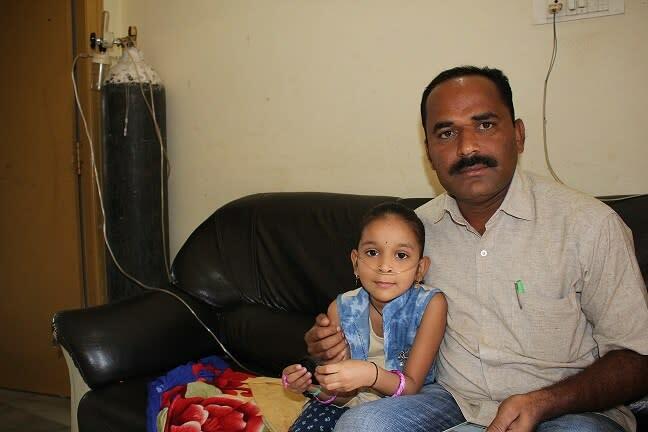 Her left lung has to be cleared again", said Mangamma, her mother. Post surgery, the child became very dull and weak. She could hardly walk, lost her appetite and slept all day due to extreme fatigue. Her father who works for a meagre income of Rs12000/month as a driver with the police department is now struggling to bear lakhs worth medical expenses. "It is extremely difficult for us to arrange money for my child's treatment. In the past couple of months, this has affected her badly. She will be 7 years on 25th September 2017 and I really want her to recover from a life-threatening disease. We have extremely broken down. Please share her story and help us to reach the target amount. Thank you, donors, for giving us hope. Your support and contribution will never be forgotten", said the mother. We want to THANK YOU in the biggest way possible. Please share her story and help her to fight the battle. We will keep you posted on her progress. May her life be saved.